We are offering ITI Tools Machinery. We offer high quality Pry Bars. 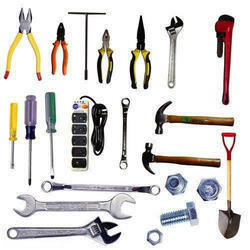 We are betrothed in providing Hand Tools to all patrons, which is highly durable and low in rate. -Can quick and easy for all kind of flip key dowel to dismantle or install . We are engaged in supplying a huge range of 53 Pcs Telecommunication Tool Set. These sets are available with us, are widely appreciated by the customers due to their excellent capability. Further, as per the requirements of our clients, we proviode customization for our products. 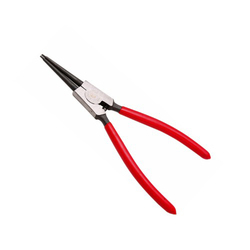 We are among the eminent manufacturers, suppliers and traders of Hand Tools. The offered tools are used in various engineering and automotive industries. Furthermore, we offer these tools to our customers in a spectrum of sizes and dimensions at industry leading rates. We have professionals pool of talent that work very hard in order to keep our customers satisfied. Hand Tool Spanners are light weighted and very easy to use. - 111pcs 1/4" & 3/8" & 1/2"dr. ITC England socket set, mirror finish , w/blow mould case. - 3pcs 1/4" honidriver socket: 3. 2, 4, 4. 5, 5, 5. 5, 6, 7, 8, 9, 10, 11, 12, 13mm. - 11pcs honidriver socket: 9, 10, 11, 12, 13, 14, 15, 16, 17, 18, 19mm. - 14pcs 1/2" honidriver socket: 14, 15, 16, 17, 18, 19, 20, 21, 22, 23, 24, 27, 30, 32mm. Our customers can avail from us BT/ ISO/SK Adaptors which are widely used in pipeline industry. The adaptors are threaded component, which are fabricated using high grade raw material procured from reliable vendors. These products are widely demanded due to their sturdy construction, corrosion resistance and durability. Riding on immeasurable volumes of industrial expertise and understanding in this arena, we are engrossed in providing Standard Tool. In conformity with the standards as set by the market, these are well tested prior getting shipped. More to this, their obtainability with us in a consignment of provisions makes these highly recommended.